I’m digressing. My friend, Sara and her wife Hannah, are about to welcome their first pom-baby into their family and I could not be more excited for them. And you can probably imagine my excitement when they allowed me to accompany them to their first official meeting with their sweet girl, Pancake. But not only did we get to meet baby girl Pancake, we also got to meet her oh-so adorable siblings and cousins, too. 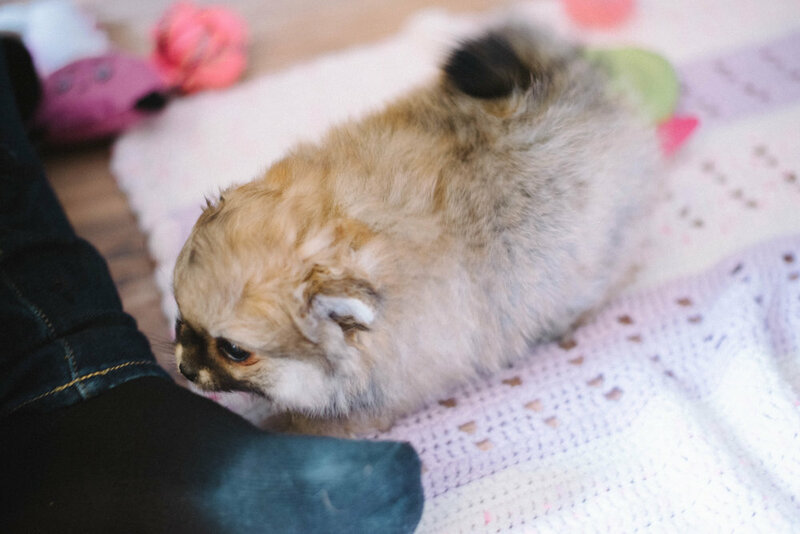 I was literally on the floor with a crowd of baby (potato-like) Pomeranians and IT WAS AMAZING. Best day ever. I was honestly living my best life during what was the quickest hour of my life. I did my best to capture this moment for them, while not trying to get lost in my actual Pomeranian dream sequence come to life. Anyways! Enough chit-chat, here are some of the photos!